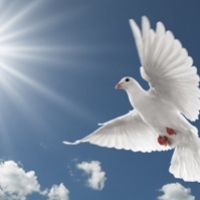 Elizabeth Lantry, 29, of Hillsdale NJ, passed peacefully at home from this life to God’s care on March 20, 2019. She is survived by her loving family, Joyce and Kevin Lantry, her brother Matthew Lantry, and her uncle George Mehm. She was predeceased by her brother, Thomas Lantry. Funeral Mass will be Monday March 25, 10:00 AM at Our Lady of Mt. Carmel RC Church, Ridgewood. Interment Thursday in George Washington Memorial Park, Paramus. Visiting Sunday 3:00 -7:00 PM at Feeney Funeral Home, 232 Franklin Ave, Ridgewood. In lieu of flowers, donations to the Mary Therese Rose Fund, 33 Wolfe Dr., Wanaque, NJ 07645.